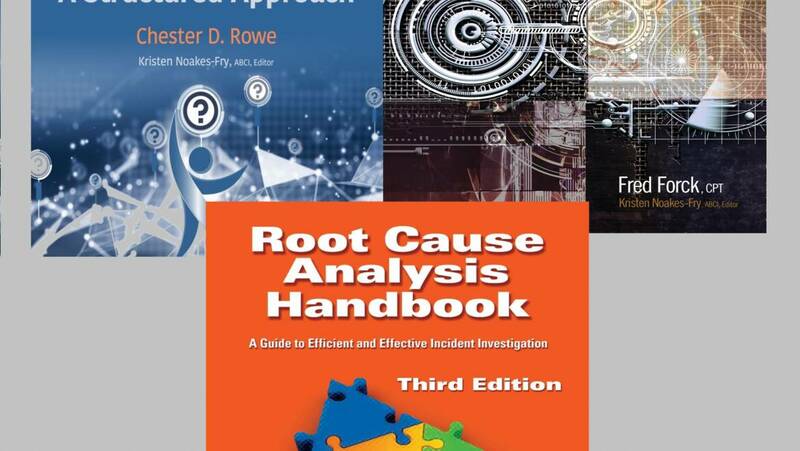 The following are typical reasons why most root cause incident investigation programs fail to live up to the organization’s expectations, from the book Root Cause Analysis Handbook: A Guide to Efficient and Effective Incident Investigation. If the organization is performing acceptably with its current practices, then there is no significant driver to get personnel to change from their current behavior. The organization and the individuals in the organization need a reason to change, as most people do not like change. Investigating and learning from mistakes usually requires a change in the organization’s mind-set or behavior, and a powerful reason is needed to drive such change. This driver must be clearly tied into the rollout of the Root Cause Analysis (RCA) program. A program that changes the way the organization operates needs a champion within the organization who will lead by example. Such a person needs to participate in and encourage the performance of investigations and review any reports generated by the teams. They need to take an interest in ensuring that corrective actions are implemented. The program champion should be someone in a leadership position who can reassure the investigators and investigation team members that performing investigations is consistent with the organization’s expectations and that they will be rewarded for participating on the RCA teams. Operating in the reactive mode means that the organization reacts to incidents rather than planning ahead in an effort to prevent them. Planning does not occur in reactive organizations; if it does, the plans are seldom carried out or used to guide decisions. However, investigating near misses is proactive because they are investigated before actual losses have occurred. Incident investigation is also proactive in that the corrective actions taken to prevent the next occurrence are long term in nature. The investigation process requires personnel to stop, analyze what happened, and implement corrective actions to eliminate the causes of incidents and prevent them from recurring. This requires a long-term focus. Organizations that remain in the reactive mode never have time to conduct thorough incident investigations. They may label them RCAs, but they do not dig deeply enough to identify the underlying causes. They view investigations as a waste of time. “Let’s get on with it and do the investigation when we get time.” No one ever has sufficient time to perform the investigation. Management must be willing to take a longer-term view. This requires a change in workplace culture. Management must also be convinced of and willing to see the value of performing quality investigations. This is the only way they will invest the resources now for a payoff in the future. To help make this change, the organization needs to find areas where repeated problems, failures, accidents, or near misses are occurring and estimate the true cost of these losses in terms of lost production, repair costs, labor costs, wasted product, and wasted resources. An investment in incident investigations now will prevent or reduce these losses in the future. If management insists on blaming someone rather than figuring out how to prevent the losses from occurring in the future, then the investigation program is destined to fail. It is easier to blame someone than to fix the real problems, which are the management systems. Blaming someone is quick, pinpoints the problem, and can be easily fixed by training, relocating, or terminating the individual, or so it is believed. It eliminates all the effort required to understand the operation of the organization and to fix the underlying causes. However, there is no perfect employee who can perform flawlessly, especially in a flawed environment, and organizations are left with the recurring, underlying management system problems. In addition, placing blame discourages reporting of near misses. Focus on the management system, not blaming individuals. This will lead to the long-term solution of the organization’s problems. This goes along with the previous point. Management may not be willing to admit that it has ever done anything wrong. A management system focus indicates that somewhere in the organization’s management systems, something needs improvement. In other words, there are performance gaps not just at the frontline level, but at the management systems level too. Some managers are unwilling to accept that they could contribute in any way to a deficiency in the organization. In addition, they usually have an incentive not to admit that things did not go quite right. Again, keep the focus on what needs fixing (i.e., management systems, not managers). This will lead to long-term solutions and better performance from your personnel in the long run. If you want your managers and other staff to implement the recommendations, you will need to provide some sort of incentive. Reward the implementation of preventive and corrective actions at all levels in the organization, including management. Rewards may need to be different for the different levels of the organization because not everyone views the rewards as having the same value. “We really need to do incident investigations, and the more we do, the better off we’ll be. Therefore, let’s investigate everything!” Trying to investigate too many incidents usually results in many poorly performed investigations. It is better to do a couple of investigations thoroughly and then implement the recommendations. By limiting the number of investigations initially performed, members of the investigation team get to practice their skills and eliminate problems in the investigation process before launching it organization-wide. Once there is an improvement in investigation efficiency, it will be easier to handle a larger number of analyses. The phased implementation noted above is consistent with this approach. If an organization only investigates the large-consequence incidents, 80% to 98% of the data available to the organization to prevent these accidents will never be analyzed. Investigating only large-consequence incidents is not much different than a football team never practicing but just going straight to the game. Personnel will not be ready to do a good job on the big incidents if they do not practice with the smaller incidents. Change the focus of your investigations to near misses instead of the large disasters. Include near misses in the definition of incidents that you analyze. Establish a minimum reporting goal of 10 near misses for every loss incident. Hold management and employees accountable for reporting near misses and meeting this goal. If good investigations are performed but the recommendations are never implemented, the investigation effort is wasted. Before, personnel did not know what they were doing wrong. Now, they know, yet implementation of recommendations does not occur. This is not a smart way to operate a business. Typically, this occurs when recommendations are not tracked to completion or there are no rewards for implementing the recommendations. Assign someone the responsibility for tracking recommendations to completion. Review the implementation status periodically with management to raise the visibility of recommendations that are behind schedule. Reward individuals and departments for implementing recommendations and discipline those who do not implement them. 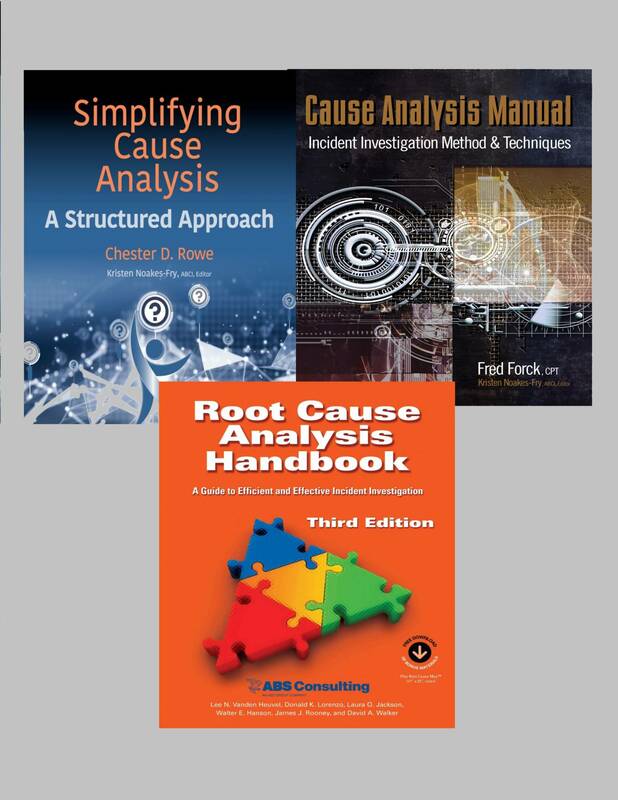 You can master Root Cause Analysis and Incident Investigation – CLICK HERE for your Cause Analysis Master Library!